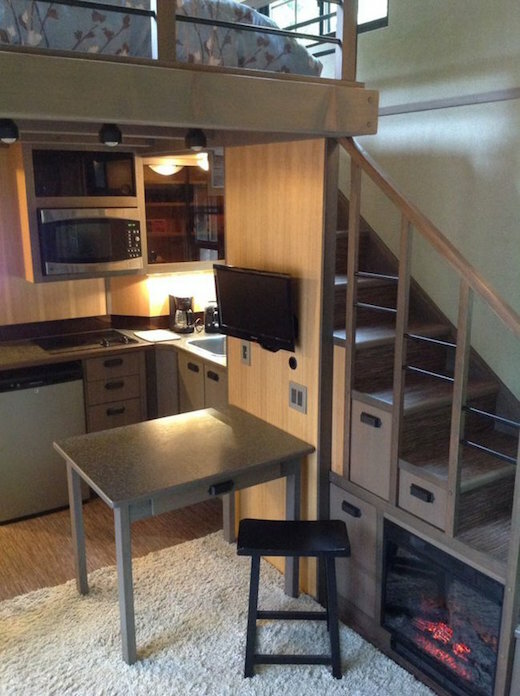 There are many ways you can obtain a tiny home if you are looking to downsize. 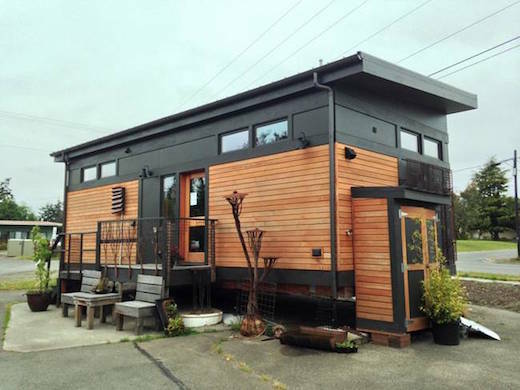 You can either commission a firm for a custom-built one, purchase an already constructed one, or build it yourself, whether from scratch or inside a repurposed shipping container, for example. There have been some awesome school bus and van conversions seen lately too. 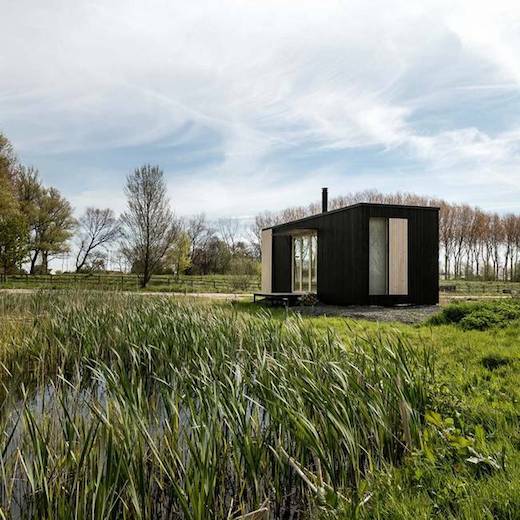 There are also prefab tiny homes, and a great addition to the already existing lineup is the so-called ARK Shelter, which was designed and built by a Holland-based company. ARK Shelters actually range in size from tiny to normal sized homes, since the modules out of which they are constructed can be assembled together to form larger dwellings. The modules also come in various sizes, with the largest one measuring 300 sq ft (28 sq m). The exterior is clad in wood and painted black, which gives the home a timeless, classic aesthetic. 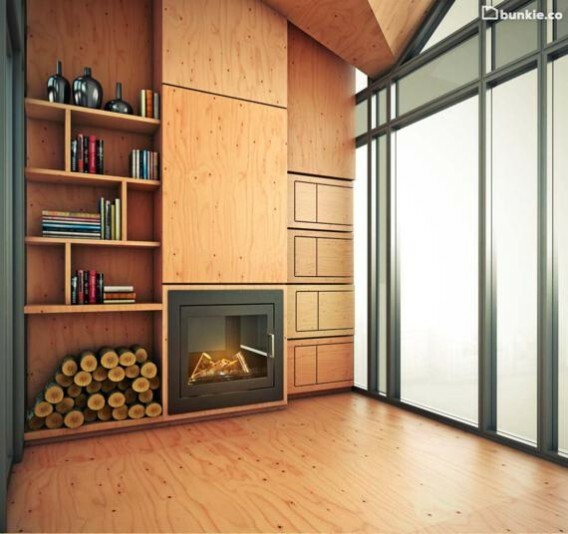 The interior walls are paneled with cross-laminated timber plates that give the home a cozy, warm feel. The modules also feature large, floor-to-ceiling windows, which let in plenty of natural daylight, aiding ventilation and making the home appear much more spacious when opting for the smallest module. All the windows also have shutters to provide the needed privacy. 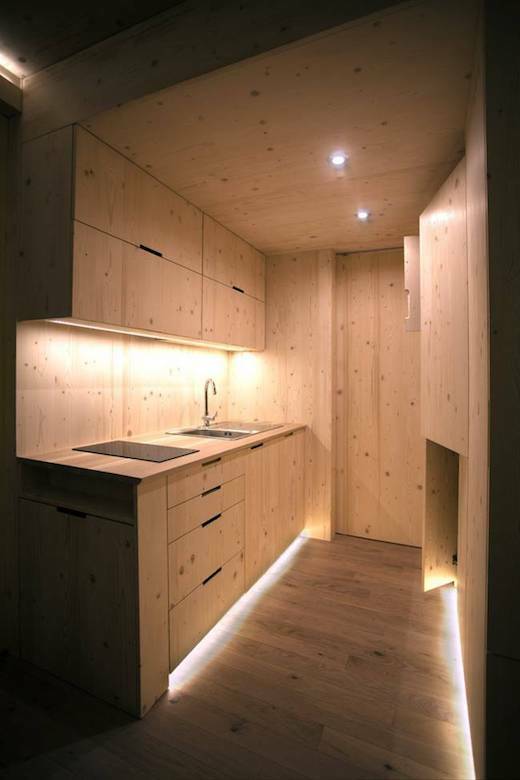 The modules feature a well-sized kitchen and bathroom, while different layouts and configurations are also possible. The ARK shelter is also very well insulated and a circular woodstove is used for heating. There is also the option of having additional electrical heating, which can be powered by wind turbines or a solar panel array. The firm also offers the option of installing a rooftop rainwater collection and filtration system. The modules do not require any sort of foundations, so they can be placed virtually anywhere. The ARK Shelters come fitted with all the custom-designed furniture, the woodstove and a mattress. Given all the features, one would expect the price to be high, but they are selling the basic model for $59,000, which is comparable to most of the other offerings on the market today. 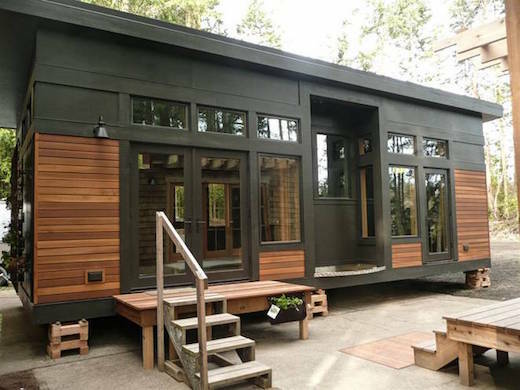 Prefab homebuilder GreenPod Development, based in Port Townsend, Washington, makes cozy tiny homes, which are factory made and can be constructed in just six weeks. One of these is their Waterhaus model, which would make a great vacation cabin, or even a full-time home. 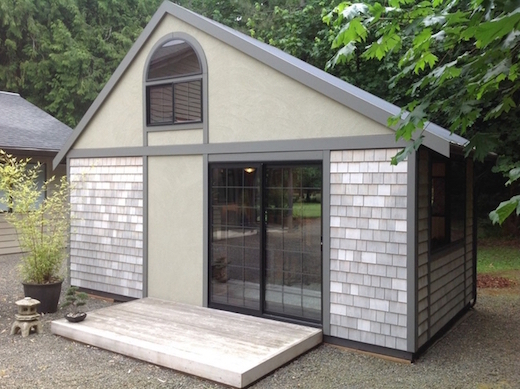 The home measures 450 sq ft, and is made from structural insulated panels (SIPs). These are all pre-cut in the factory, and are then used to build the home on site in just a few days. SIPs are more expensive than wood framing, but they have the benefit of reducing thermal transmission, since they create smaller insulation gaps, are straighter and stronger. Waterhaus also has transom and corner windows placed in a way that maximizes the amount of natural daylight entering the house, but they still offer the occupants privacy. Each home also comes with customized passive solar design and orientation, which depends on the site where the home will stand. The interior of the home features minimalistic furnishings, yet still looks very cozy. 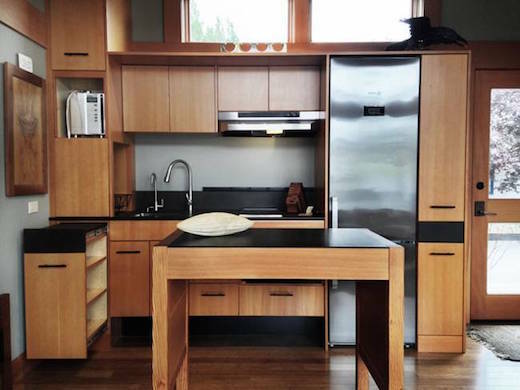 To maximize the available space, they furnished it with multi purpose pieces that can also be stacked one on top of another. 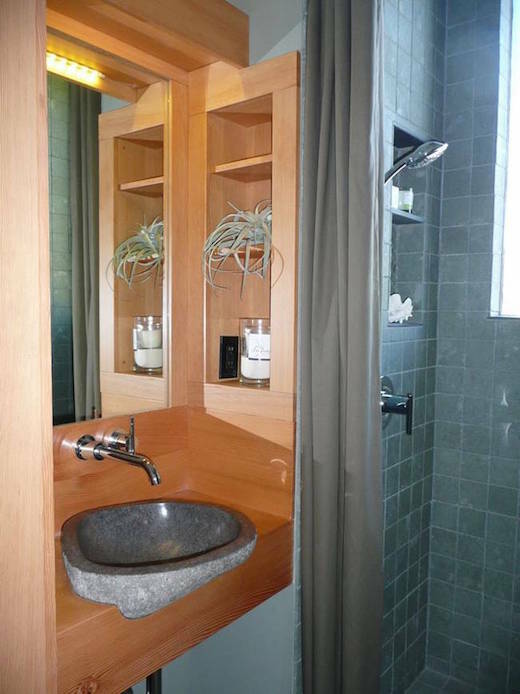 The home is also equipped with low-flow fixtures. The paints and finishes used are also all chemical-free, such as clay wall finishes to avoid VOC-emitting paint, and fabrics made using organic and naturally antimicrobial plant fibers which resist mold and mildew. They also cleverly increased energy efficiency by including so-called “kill switches” which are able to stop power from flowing to specific switches. This works to eliminate the so-called “phantom loads” and reduces “electrical smog”. 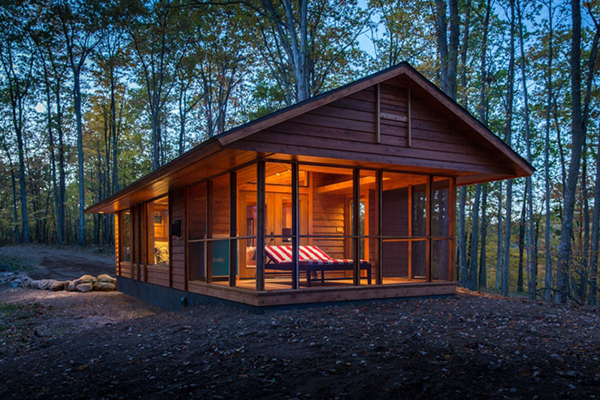 The DIY basic version of this home can be purchased for $65,000 and includes just the shell. The fully-equipped version costs $135,000. 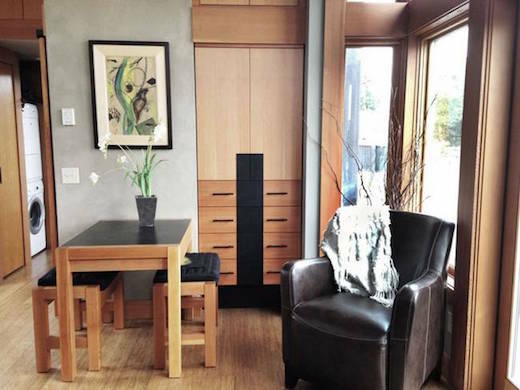 In addition to prefab homes, GreenPod also builds custom made homes. Downsizing, minimizing and simplifying is starting to appeal to more and more people and with good reason. 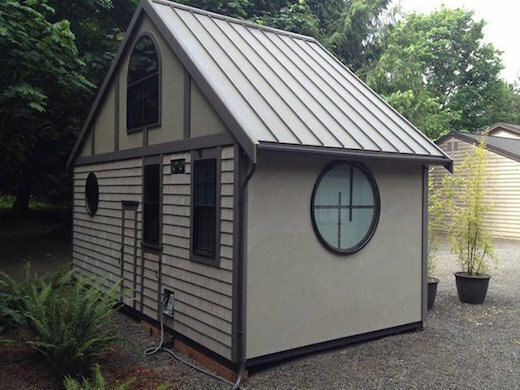 Sustainability starts at home, so to speak, and living in a tiny home is certainly a great way to achieve it. 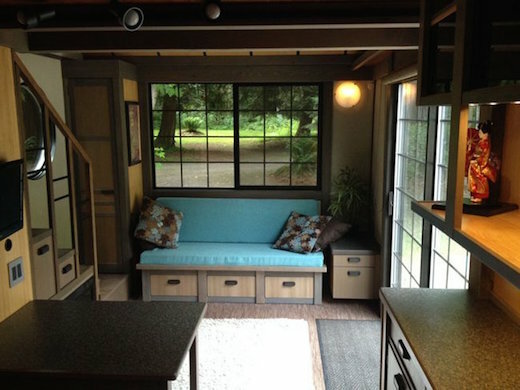 And as today’s tiny house example proves, the sacrifice does not need to be all that great. It was constructed by, a former Christian missionary Chris Heininge and it is located in Aurora, Oregon. 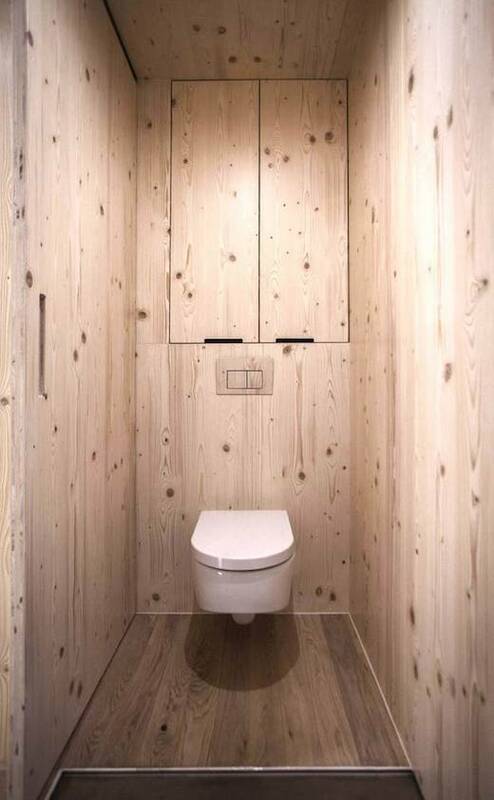 The design is inspired by the Japanese homes in which he spent time in doing his work. 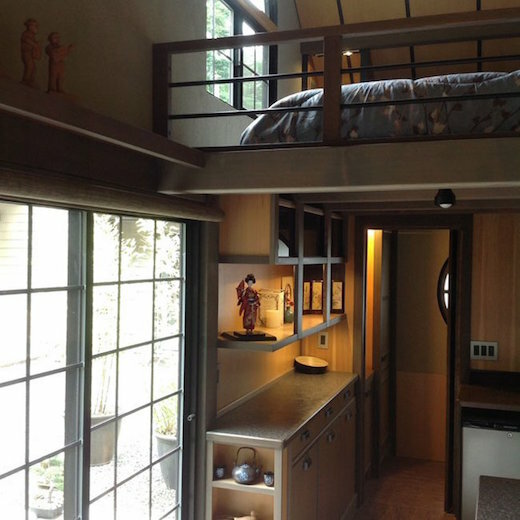 The tiny home measures 280 square feet with a footprint of 10-feet by 20-feet, and a height of 15-feet. 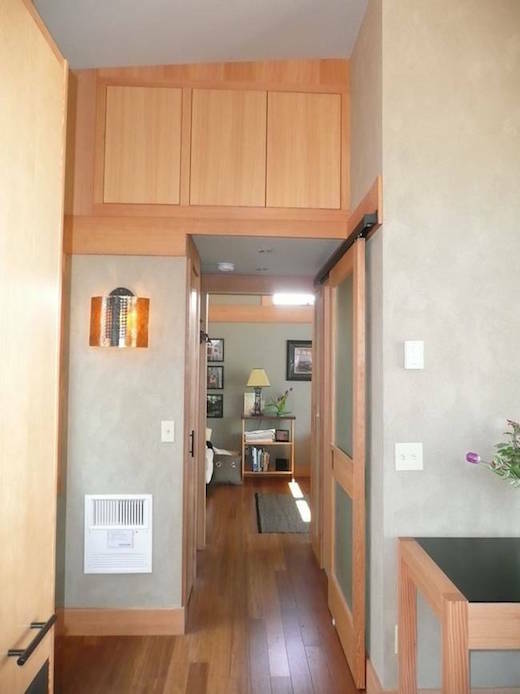 It is accessible via a sliding entry door reminiscent of Japanese sliding screens. 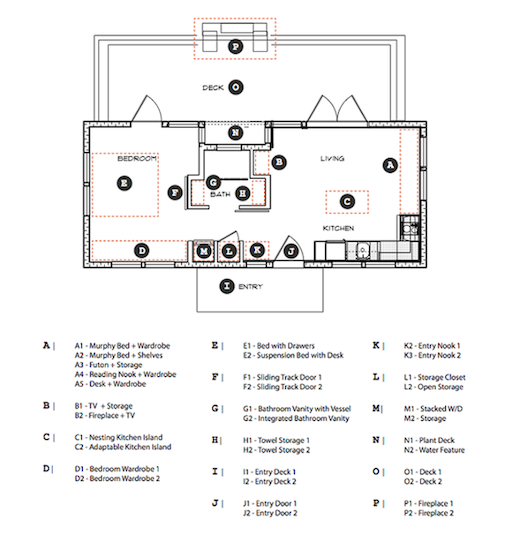 It features a sizable living room, a kitchen with a dining area, a well-designed bathroom, and a cozy sleeping area. 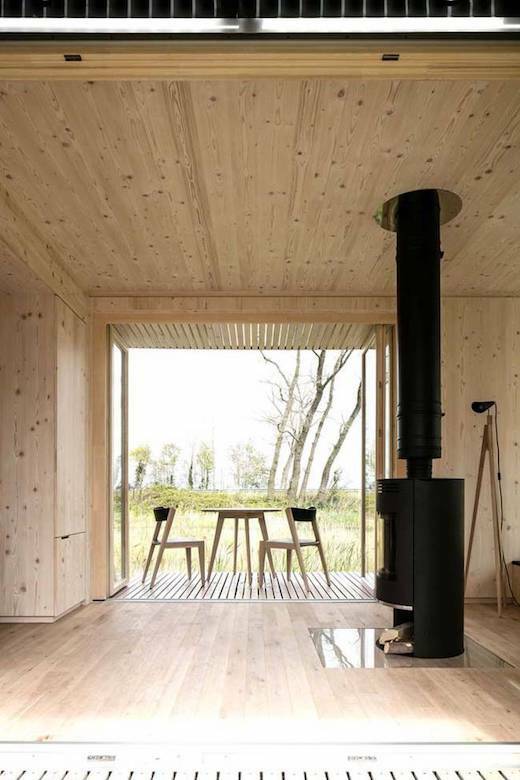 This tiny prefab house is the perfect space for anyone who dreams of weekend retreats in the countryside enjoying the great outdoors. 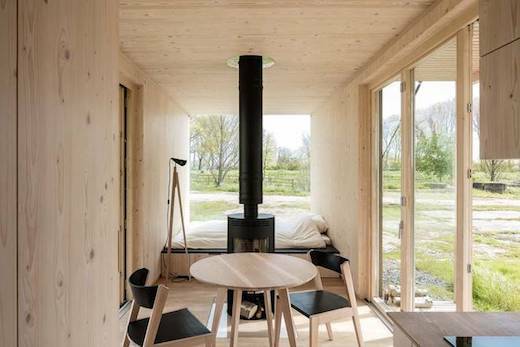 A collaboration between 608 Design and BLDG Workshop, “Bunkie” brings together everything you need for minimalist, affordable, and eco-friendly living. CNC milling technology was used to cut large pieces of the house at a time, saving materials, money, and labor hours. The result is a small space with a fireplace and some shelves that will comfortably fit a small dining table and/or bed, or perhaps a loveseat and some chairs for curling up with a good book and glass of wine after a day of exploring. 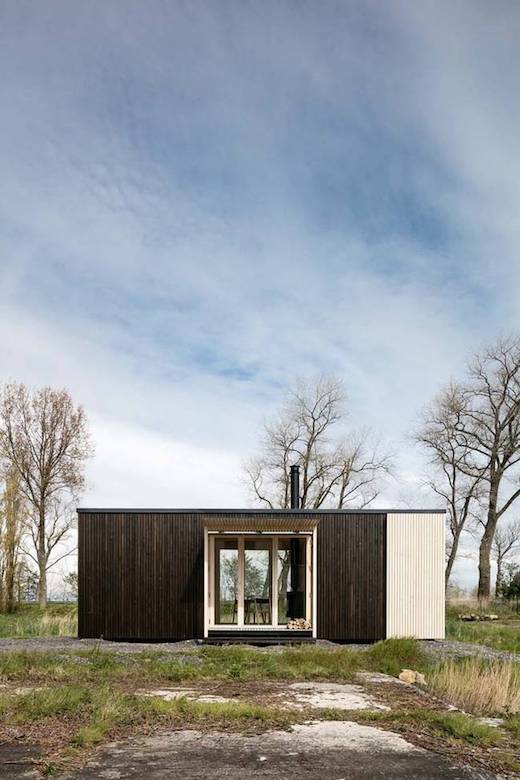 The raw materials and full-length windows allow the design to seamlessly blend with nature, minimizing environmental impact and maximizing the view of your surroundings.